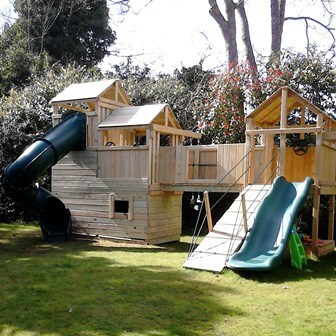 This Home Front Gangplank fits the Jungle, Mountain and Cosmic ranges and provides an addition access route in and out of the towers. 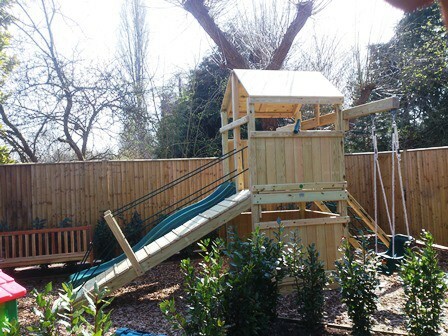 The Home Front Gangplank fits all the Home Front climbing frames (Canyon, Jungle, Mountain and Cosmic). 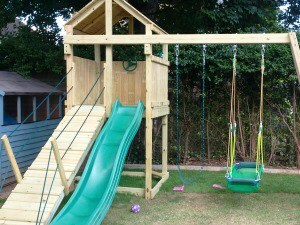 Made from a 6″ x 2″ timber joists with horizontal planks, it is extremely strong and durable. 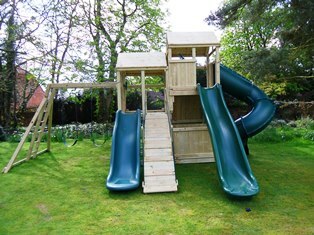 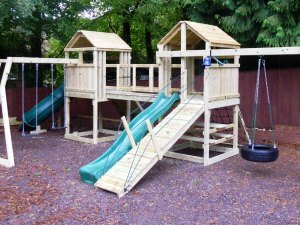 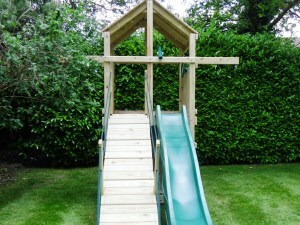 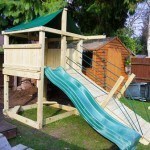 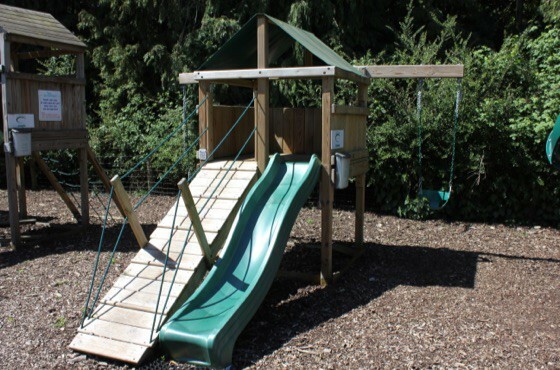 The Home Front Gangplank is only available when purchased as part of a Home Front Climbing Frame.